Easy Minky Cuddle Blanket baby shower gift! I recently made this simple shower gift for 2 of my besties who are new mamas. What baby wouldn't love a super cuddly blanket and cute burp cloths! I used cuddle minky from the Shoppe in the new Carnival colors. Here is a Simple Minky Blanket Tutorial for you to follow! This blanket only takes 3/4 yard of 2 different fabrics. It is a great beginner project! It's easy to sew with and very forgiving! 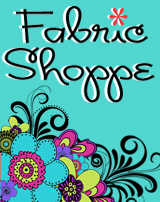 We have lots of new fun minky and cuddle fabric in stock right just in time for holiday gifts! Baby Charlotte with her new blanket! Here are a few great inspation pieces found in the Joel Dewberry quilt market booth. I am dying to make this re-apolstered chair. Now I just to find a cool old chair at an auction or estate sale and a great tutorial! Love the chair, the framed fabric, and curtains! Well Joel Dewberry has done it again! This line is perfect and with 39 different pieces there is sure to be a few that you will fall in love with:) We have bundled the fabrics in the shoppe as well as listed individual yardage and fat quarters! 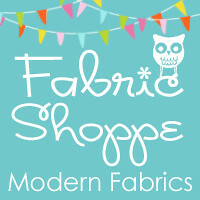 Shop Heirloom fabrics in the Fabric Shoppe. 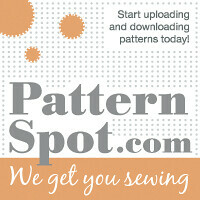 Shop Heirloom fabrics in the Fabric Shoppe! Stay tuned tomorrow where we will feature a few projects using this line!